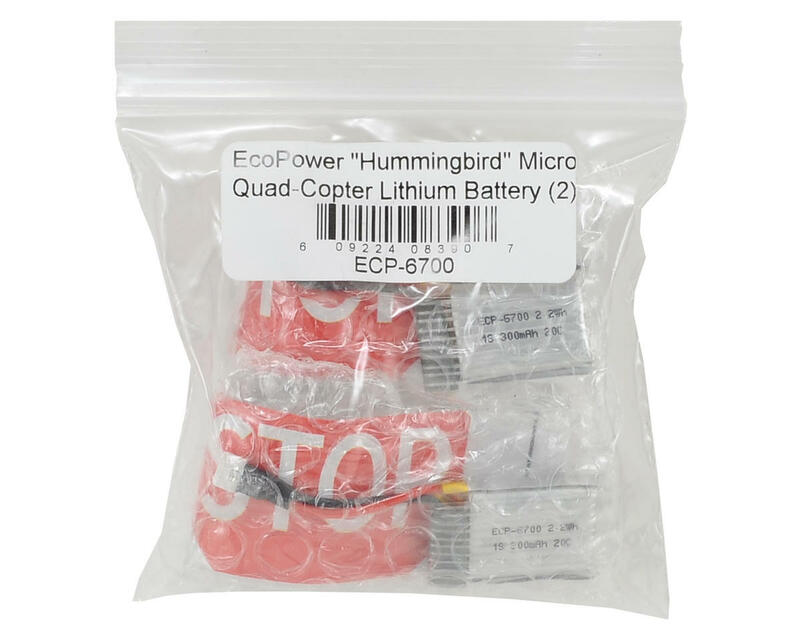 This is a pack of two optional EcoPower "Hummingbird" Micro Quad-Copter Lithium Batteries. These 300mAh batteries deliver 25% more flight time and the 20C discharge rate provides incredible power when compared to the standard Hummingbird battery. When you add two for one pricing to the offer, you get 150% more flying fun! 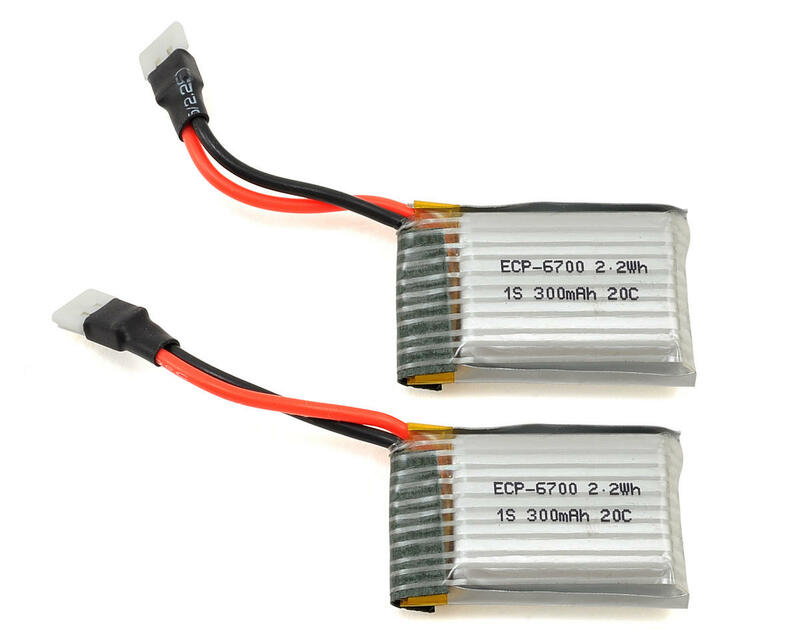 NOTE: This replaces the previous ECP-60073 battery.